Body waxing is a method of temporarily removing unwanted hair. A thin layer of wax is applied on skin areas like hands, legs, eyebrows, feet, pubic area, abdomen, basically anywhere. Next a coated strip or a cloth is placed over the wax firmly binding it. And then the cloth and thus the wax and hair are swiftly removed. This pulling against the direction of hair growth uproots the hairs at the follicle level, which retards and slows re-growth. What are the types of wax? 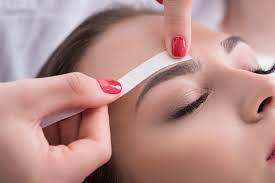 Hard wax is used for more sensitive areas like eyebrows or upper lips. The applied wax is left to harden for few seconds before the strip is pulled and the hair removed. Soft wax is used for larger surface areas like arms and legs where the applied wax spreads on skin easily and does not need to harden. Sugar body wax, paraffin, or beeswax-based product are the most common methods of preparing body wax. Today there are many variants with added flavors like green tea oil or even cocoa for all you chocoholics out there. Hot wax is another type, which is applied on to the skin and then pulled with the wax strips. Lastly, cold-wax is pre-applied to the wax strip itself and then applied to the skin. Smooth, hairless skin is retained for longer periods of time after waxing. Several potential disadvantages to body waxing include pain during the procedure and the potential for skin allergies. It’s also less effective for shorter hair length, as longer hair is easier for the wax to bind and uproot. Despite all this, waxing has the least number of side-effects compared to shaving, depilatory agents like Nair or other, more exotic techniques such as lasers. Here at South Valley OrthoMed, we aim to provide the best in waxing quality AND customer service to all of our patients here in South Jordan, and the entire Salt Lake Valley!